SOUTH HILLS KNOCKS OFF NO. 1: South Hills senior and Cal State Fullerton commit Jacob Amaya belted a bases-loaded double in the sixth inning to drive in three runs and junior pitcher Brandon Dieter did the rest, going the distance to lead the Huskies to a 5-1 victory over Florida’s Archbishop McCarthy, who was undefeated and ranked No. 1 in the country by Baseball America in Thursday’s USA Baseball National Classic quarterfinals in North Carolina. Dieter was impressive, allowing just four hits and working out of jam in the fourth, when McCarthy had runners on second and third with no outs, and only came away with one run. South Hills advances to the prestigious semifinals and will take on fellow California team Orange Lutheran on Friday at 11 a.m.
Nogales knocks off defending leauge champ Sierra Vista: There are some new kids on the block in the Montview League.Nogales High School moved over from the Valle Vista League this year and is letting the rest of the Montview Know it going to be the team to beat. The Nobles (10-1, 4-0) knocked off four-time reigning league champion Sierra Vista 5-0 to take sole possession of first place on Thursday afternoon. The Nobles jumped out to a 3-0 lead in the top of the first inning and then rode the right arm of senior Jonathan Guardado. Aram Releaguing Report: Could South Hills, Diamond Bar head to Hacienda? From seven to four. That’s the fate of the Suburban League as the latest round of high school re-leaguing meetings have kicked off for the cycle beginning with the 2018-19 school year. The Foothill Area, of which the Suburban League is part of, voted recently for a major reduction in the size of the league. Beginning with the 2018-19 school year, the league will be down to just La Mirada, Bellflower, Mayfair and Norwalk. And what about Cerritos, Artesia and Glenn, all of which used are now part of the league? They’re headed for the newly formed 605 League, along with Oxford Academy, Whitney and Pioneer, which will leave the Del Rio League after a long stay. It will be up to the principals at La Mirada, Bellflower, Mayfair and Norwalk to handle the appeals process, which will likely include an alternate proposal. Previously, the league had considered going to nine schools by adding Oxford Academy and Whitney. The appeal will be heard by the Foothill Area membership, although a date for that is not known. Every four years, athletic directors and principals get together to decide the shape of the local league landscape. Every four years, the debate, at least going in to these crucial meetings, are fierce. Up next is the Mt. SAC Area, where 42 schools comprise the zone that features several local leagues. During the last re-leaguing cycle, there was plenty of movement in the area, but it’s unclear whether things will be so active this time around. One thing known is that Chino Hills, Diamond Bar, South Hills, Chaffey, Montclair, Ontario and Walnut (football only) have applied for relief from their current league situations. It will be up to representatives from the schools to convince other schools in the area that a change is necessary. Schools are allowed to make up to two proposals of their own while leagues are allowed no more than three proposals. An ad-hoc committee will also make three proposals. The final vote will take place on April 25 at Glendora High. A preliminary meeting to put all the proposals together will take place on April 13. One interesting rumor floating around has Chino and Diamond Ranch leaving the Hacienda League for the Mt. Baldy League. They would be replaced in the Hacienda League by Diamond Bar and South Hills, thus sending Alta Loma and Colony to the Palomares League to fill their void. Throwing strikes and staying positive was the key today,” Rios said. “We’ve been working together and staying focused, like those two great catches in the outfield. I want to throw strikes and make the defense work. ”The Bulldogs broke the game open with a two-out, three-run rally in the bottom of the fifth inning.After two line-drive outs to start the inning, Andrew Rodriguez and Anthony Prada drew back-to-back walks. South Hills wins opener in North Carolina tourney: South Hills High School’s last big baseball game was when the Huskies won the CIF Southern Section Division 2 crown last June. Perhaps the second biggest game took place at the sixth Annual National High School Invitational at the USA National Training Center on Wednesday afternoon. The Huskies, who received a prestigious invitation to the top 16-team tournament in the country this year, defeated Brother Rice of Chicago 2-0 behind a two-hit shutout by senior pitcher Karlos Morales.South Hills, ranked No. 7 by USA Baseball, will face No. 1 Archbishop McCarthy (12-0) of Fort Lauderdale, Florida in a quarterfinal game at 12:30 p.m. Thursday. The game will be streamed live by USA Baseball. Morales (4-0), who lowered his ERA to 1.40, flirted with a no-hitter for the first 4 2/3 innings before giving up a sharp single to right field. He struck out five batters and retired 10 in a row from the first through the fifth innings. Glendora 5, Windward 4 (8 innings) — Brock Welte’s single scored the winning run in the Anaheim Lions tournament. Hayden Pearce (4-1) got the win in relief, pitching three innings for the Tartans (14-4). Cade Marshman went 2 for 3 with a double, Robert Draper 2 for 4 and Scott Ellis had two RBIs. La Habra 2, Ayala 1 (8 innings) — Sophomore Josh Ramirez drove in the winning run. San Dimas 9, Temple City 1 — Sophomore Zach Jacobs pitched a complete game and JR. Jalen Guzman hit two doubles in the nonleague game. Pomona 2, Garey 1 — Angel Gonzalez hit a two-run down and tripled and Elias Jauregei pitched in the Miramonte League victory for the Red Devils (6-4, 4-0). El Monte 11, Rosemead 1 — Julian Valera went 4 for 4 with four runs, Hector Bravo went 4 for 5 and Rudy Pertak, Robert Gonzalez and Ruben Hernandez each had three hits for the Lions (5-3, 2-0) in the Mission Valley League game. Niko Higareda homered for the Panthers (6-4, 2-1). La Mirada 17, Artesia 0 — Jared Jones went 3 for 4 with five RBIs and a double, RJ Lan went 3 for 3 with a double and Eddie Salcido got the Suburban League victory for the Matadors (10-2, 3-0). Upland 7, Damien 6 — Freshman Tucker Juline hit a run-scoring single in the seventh for the Highlanders (9-3, 2-2). It scored sophomore Jose Cevallos, who tied the game with a RBI single. Colby Manning picked up his first varsity victory with 1 2/3 scoreless innings. The Spartans (5-5, 2-2) had led 5-1. 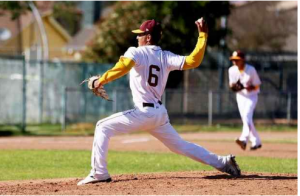 Ganesha 12, Edgewood 8 — Senior Jesus Salcido improved to 5-0, giving up two earned runs with four strikeouts and five hits as the Giants (7-2, 3-1) picked up a Miramonte League victory. Amat gets best of La Salle: Was Bishop Amat High School baseball coach Joe Hoggatt worried? 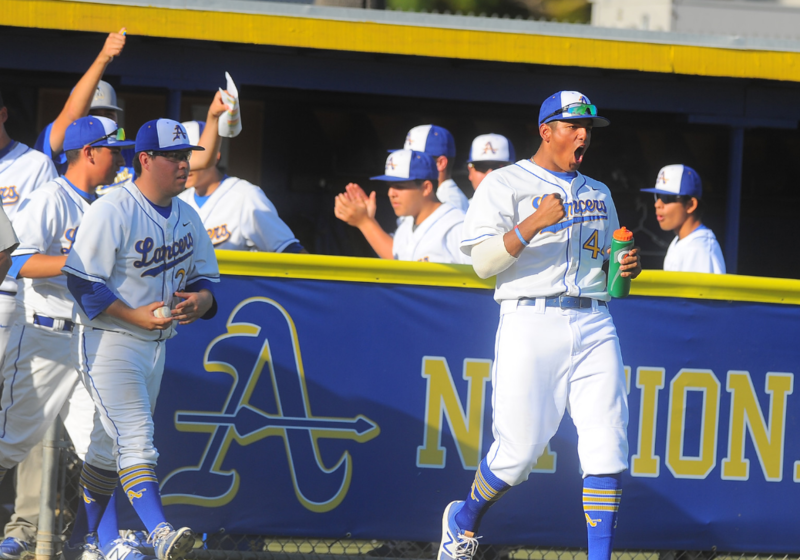 Bishop Amat trailed visiting La Salle by four runs in the sixth inning. Bishop Amat scored five runs in the sixth for a 6-5 victory in a showdown for first place in the Del Rey League on Tuesday. Amat (7-4, 3-0) had not done much against La Salle (5-6, 2-1) through five innings. Amat had four hits and two baserunners had been picked off. 1. South Hills (9-1) – In North Carolina this week for national tournament. 2. 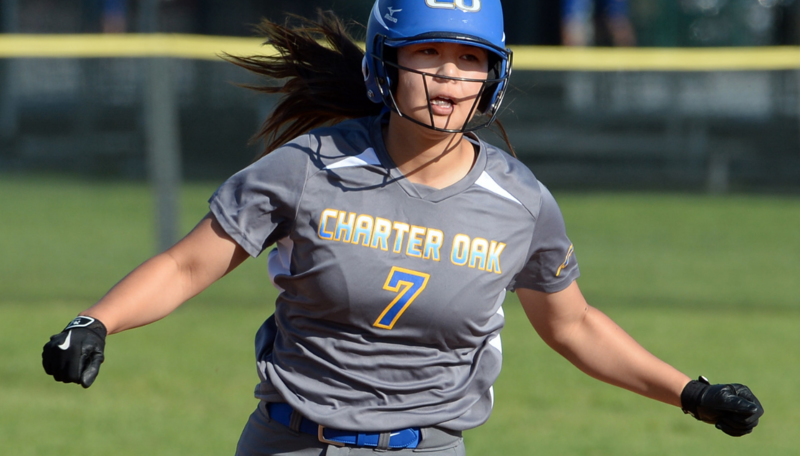 Charter Oak (7-1) – Areas biggest surprise keeps surprising. 3. Glendora (11-4) – Close 2-1 loss to South Hills. 4. Bishop Amat (6-4) — 2-0 start in Del Rey with La Salle next. 5. Bonita (6-4) – Tough 2-2 start in Palomares. 6. Damien (5-4) – Is 2-1 in tough Baseline. 7. Walnut (7-4) — Beat rival Los Altos, lost to West Covina. 8. Wilson (6-1) – Still a week before Valle Vista starts. 9. Nogales (8-1) – Big game at Sierra Vista Thursday. 10. Sierra Vista (8-2) – Quick 3-0 start in Montivew League. 1. Charter Oak (6-1) – Won five straight, opens Hacienda with Walnut. 2. St. Lucy’s (6-3) – Opened Baseline with 4-3 loss to Rancho Cucamonga. 3. 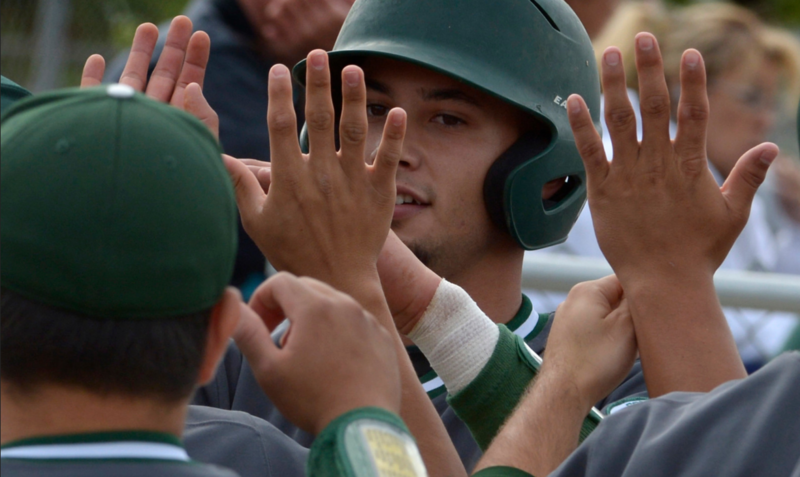 Bonita (9-7) — Solid wins over South Hills, St. Paul. 4. Glendora (9-3) – Won five of six, losing 5-2 to Bonita. 5. Los Altos (8-4) – Solid start includes two one-run losses. 6. South El Monte (8-2) – Off to 2-0 start in Mission Valley. 7. Baldwin Park (6-1) – Will know more when schedule gets tougher. 8. South Hills (6-8) – Disappointing season gets worse each week. 9. San Dimas (6-6) – Usually turns it on when league starts. 10. Wilson (6-3-2) – Will strong start hold in Valle Vista? Player of the year: Gabriel Castillo, Nogales, Sr.
One of the biggest surprises of the boys soccer season was the play of Nogales striker Gabriel Castillo, who wound up leading the CIF Southern Section in goals scored with 42, scoring three or more goals in a game seven times, including gabriel three games with four goals. And all his tallies helped Nogales win the Montview League and advance to the CIF Southern Section Division VI quarterfinals before losing to La Canada in penalty kicks. 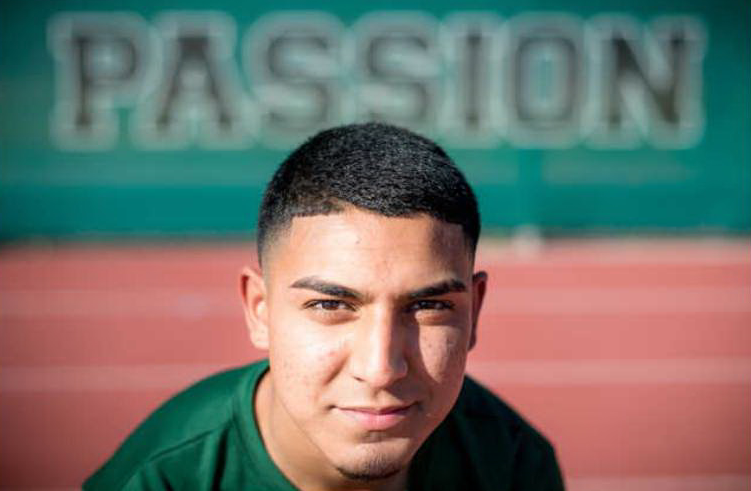 Nogales finished 17-4-4, and for his efforts, Castillo has been named the Tribune boys soccer player of the year. Joining Castillo on the boys soccer first team is his Nogales teammate, midfielder Jonathan Ortiz (senior). El Monte won the tough Mission Valley League and landed three players of the first team, including midfielder Ernesto Angulo (senior), defender Mauricio Rodriguez (senior) and goalkeeper Andrew Espinoza (senior). 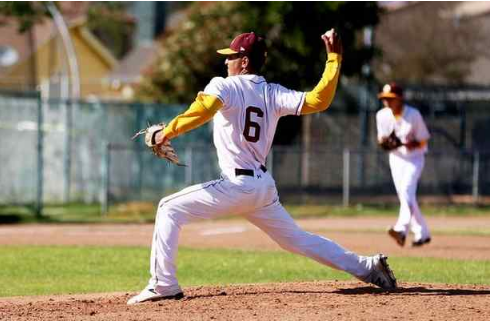 Rodriguez was named Mission Valley League player of the year. Baldwin Park won the Valle Vista league championship, leading to two first team selections in defender Bryan Zuniga (senior) and midfielder Jason Cabrera (senior), who was named Valle Vista player of the year. 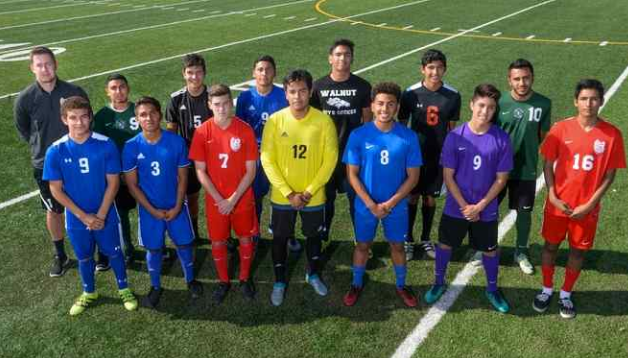 The Hacienda League had two selections, including Walnut forward Alessandro Nova (senior) and Los Altos defender Joseph Fuentes (senior), who was named Hacienda defensive player of the year. Glendora landed two players, including forward Bryan Rodriguez (senior), named Palomares League offensive MVP and forward Jonah Peck (senior). La Puente forward Johnny Herrera (sophomore), named Miramonte offensive MVP, also made the first team along with Mountain View midfielder Miguel Hernandez (senior) and Arroyo defender Isai Cuevas (senior). First year Tartans coach JJ Iles took over a struggling boys soccer program that won just three games in the previous season. That changed with the arrival of Iles, who led the Tartans to a 13-6-2 record and the Palomares League title, which was a major surprise. The Tartans also advanced to the second round of the CIF Southern Section Division 4 playoffs, losing in the second round. For his efforts, Iles has been named the Tribune boys soccer coach of the year. Forward: Bryan Rodriguez, Glendora, Jr. Forward: Alessandro Nova, Walnut, Sr. Forward: Jonah Peck, Glendora, Sr. Forward: Johnny Herrera, La Puente, So. Midfield: Miguel Hernandez, Mountain View, Sr.
Midfield: Jonathan Ortiz, Nogales, Sr.
Midfield: Jason Cabrera, Baldwin Park, Sr.
Midfield: Ernesto Angulo, El Monte, Sr.
Defender: Mauricio Rodriguez, El Monte, Sr.
Defender: Joseph Fuentes, Los Altos, Sr.
Defender: Isai Cuevas, Arroyo, Sr.
Defender: Bryan Zuniga, Baldwin Park, Sr.
Goalkeeper: Andrew Espinoza, El Monte, Sr. Forward: Havier Zaragoza, Bishop Amat, Jr. Forward: Ryan Hernandez, Diamond Bar, Sr. Forward: Sebastian Caro, South Hills, Sr.
Midfield: Andre Garcia, Bishop Amat, Sr.
Midfield: Matt Aguilar, Gladstone, Sr.
Midfield: Corey Valdivia, Damien, Sr.
Midfield: William Montelongo, Sierra Vista, Jr.
Midfield: Sean McNichols, Damien, Sr.
Midfield: Danny Aljamal, Bonita, Sr.
Defender: Willy Camacho, South Hills, Sr.
Defender: Peter Larcheveque, Diamond Bar, Jr.
Defender: Spencer Hines, Los Altos, Sr.
Goalkeeper: Luis Morales, Baldwin Park, Sr.